There are a lot of stands on the market. However, finding a multiple safety razor stand is not as easy. Most wet shavers generally have more than one razor. After all, wet shaving is a hobby for a lot of people. Generally, the main purpose is aesthetics, but it does help organize your shaving gear. If you are wet shaver, you probably have multiple shaving brushes, double edge razors, shaving bowls, etc. A bathroom counter just does not look right when your brush has a stand and your razor is just sitting there on the counter like it does not belong. Some people may choose to display their hardware in nice cases, but sometimes it is a good idea to keep things close and handy. A safety razor stand is something that you can keep on your bathroom counter so that you do not have to go to your hardware case or your drawer. If you can find a quality multiple safety razor stand, score! Another reason to have a safety razor stand is safety. Anyone that has ever kept their DE razors in a drawer knows what it is like to reach in and grab the wrong end, and to have your hand come out with a small cut. 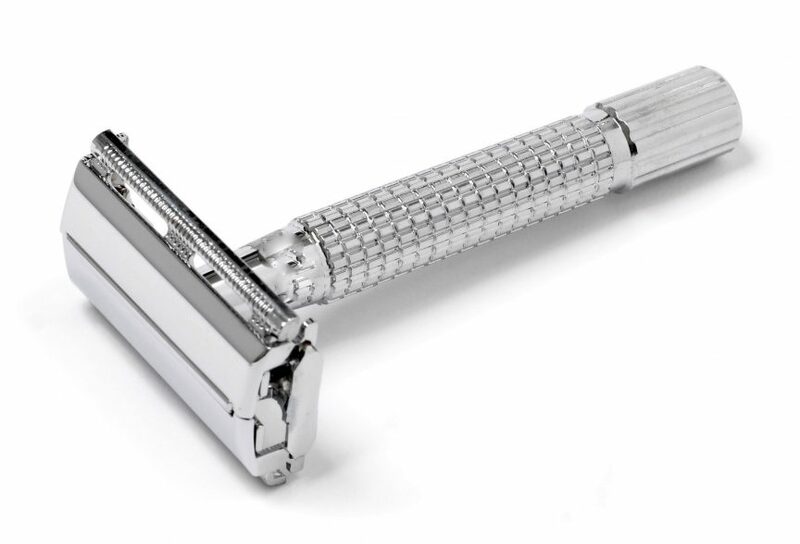 While they are safety razors, the blade is exposed, and if it can cut your whiskers, it can cut your finger too. If you keep your razor in a single or multiple safety razor stand, it is easier to grab it buy the handle and not the head which can minimize the risk for getting cut. Hopefully, we can help find some quality multiple razor stands. If you would rather have something that holds 2 razors and 2 brushes, they also have that available here. The Stainless Steel Razor Stand Waveform Series by Metier Atelier is a sleek and modern looking razor stand. You can check out the reviews on Amazon here. As we stated in the opening, there are not a lot of options when it comes to multiple safety razor stands. We provided a few options, and as we find more, we will update our list. Please take a look at some of our other articles, and we do appreciate you taking the time to read through our article.